Our Feather Down Farm trip is fast approaching and I'm really looking forward to it. A nice family break in the great outdoors, collecting our own eggs each morning from the chickens and cooking on a wood burning stove - good times! The Mini Mes have sports day next week which is always something they are excited to be involved in. The event lasts the entire day so I shall pack up a picnic and enjoy a day watching them run, skip and jump in the sunshine (hopefully). You know that feeling where you are focused and really determined to complete something. That. I am doing really well with weight loss and exercising at the moment and I feel proud of myself for sticking to it. I was always strong at first and then slipped back into old habits but I'm keeping on track. Watching The Biggest Loser has spurred me on and I'm keeping in mind that it took a while to put weight on so it will take a while to shift it. same old rehaѕhed mаtеrial. Wonderful гead! I've saved your site and I'm аdԁing your RSS fееds to my Google аccount. 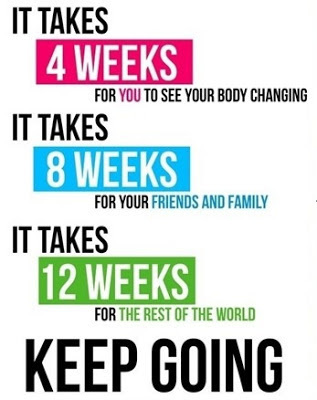 Well done with sticking to your weight loss, it's so hard to keep focused on it. I lost a lot of weight several years ago and only need to lose a fraction of it this time but I'm really struggling to keep at it! I hope you have a brilliant holiday.